Let’s try a little experiment. Try to laugh out loud, right now. Or ask someone around you to laugh on the spot. It’s difficult, isn’t it? That’s because laughing is not something we do consciously. You can make a conscious decision to hold in laughter, but you can’t make a conscious decision to laugh. Unless you’re an incredible actor, in which case it might come a bit more naturally for you. Laughter can come from absolutely nowhere, and it gives a little insight into whatever is going on in our unconscious mind. We’ve all been in the middle of a room where laughter is happening. Perhaps at the cinema watching a comedy movie. Maybe at a comedy gig. At some point in your life, you’ve seen people laughing around you. Everyone’s laugh is different; from deep, belly laughs through to chuckles and snorts. We make sounds (well, most of us do), alter our facial expressions, and even use our arms, legs or body in some cases. Our breathing also changes when we laugh, which is why you get that funny little sigh at the end of a good giggle. While little is known yet about why we actually laugh, what is known is that it’s a message to other people. After all, how many times do you truly laugh out loud on your own? Laughter is something that’s quite social and can be contagious; like when your entire classroom used to burst into fits of giggles in front of the teacher, despite trying to hold it back. The first time we laugh is usually between 3 and 4 months of age, and it acts in a similar way to crying. We used it to communicate with our parents or carers. It’s a way of saying, “this is something I enjoy” as opposed to “I am unhappy” like when we would cry. Perhaps one of the strangest things about laughter is that people rarely laugh at jokes, exactly. 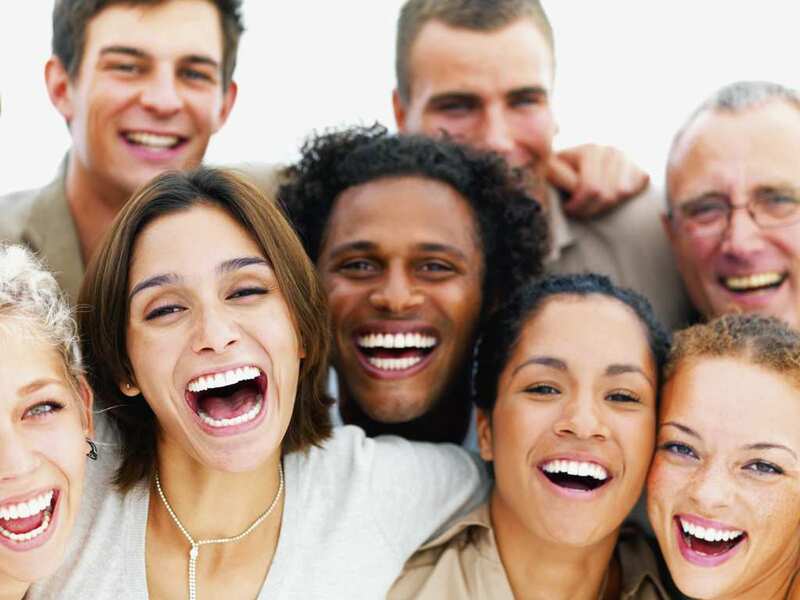 Dozens of tests and studies have been carried out on humans and laughter, with many finding that chuckling rarely followed jokes. Instead, people would laugh after things such as “Hey, how have you been?” or “How did you do on the test?” – Not exactly witty jokes now, are they? We don’t decide to laugh at these particular moments, it’s our brains making that choice for us. Not only that, but the laughter rarely interrupted a sentence in studies, instead happening during times we would usually breathe. It’s our way of communicating a playful or joyful intent… Not just because someone told a funny joke. Laughing is an incredible phenomenon that isn’t just reserved for humans. Apes have also been found to exhibit similar behavior when tickled; exhibiting a panting sound instead of the typical “ha ha” that humans are so fond of. It’s our way of communicating that we’re happy in a situation – a sort of social glue that ends sentences and brings relationships closer together. Now, isn’t that a funny thing?